Check out the trailer for the Sam Raimi produced horror project 'Zombie Roadkill,' staring Thomas Haden Church as a tough as nails Park Ranger who teams with an unsuspecting teenager, played by David Dorfman, to escape a cursed stretch of highway that resurrects roadkill in the form flesh-eating zombie animals. This new breed of terror is not just playing dead. 'Zombie Roadkill' also stars Toni Wynne, Jeff D’Agostino, Cherilyn Wilson, and Michael Blaiklock and centers around a group of college kids as they are driving on an unfamiliar road. Everything seems fit for a road trip to the lake, but when the group accidentally runs over an unsuspecting squirrel, they quickly realize there will be a price to pay. The cursed road brings the zombie squirrel back to life to haunt the kids. After the kids crash and everyone is injured except the younger brother, he is forced to set out on a journey to defeat the ancient curse and save his brother and friends before it is too late. 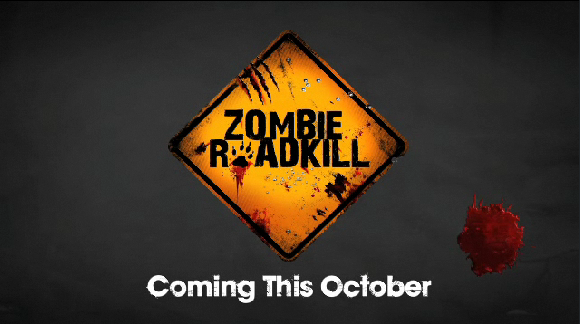 Its set to premiere on FearNET on October 4th.